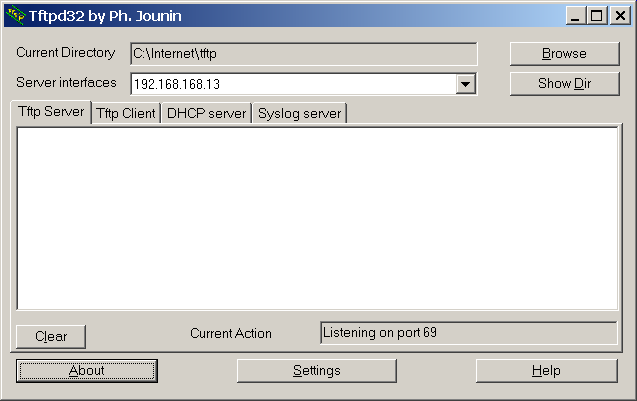 A console connection or telnet connection to the PXS is needed to update the software using TFTP. Note: A console connection is the preferred method for updating software. The update can be done using telnet, but in that case, the update program cannot provide feedback to the user since the telnet session terminates as soon as RedBoot starts the update program. Make sure that the IP address the server is running on is correct. Browse to the directory that contains the software you want to download. eCos: Starting pxsupdate version 1.01. 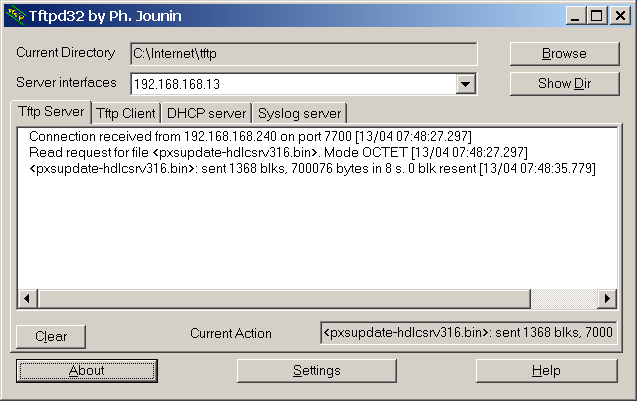 'hdlcsrv' exists in the file system. 'hdlcsrv' created at 0x05030000 (438208 bytes). Flash update of 'hdlcsrv' completed. Portions Copyright (c) 2000, Red Hat, Inc.
Portions Copyright (c) 2001, Comtrol Corp.
Portions Copyright (c) 2003, Advanced Relay Corp.
After the update is complete, execute the async disable command.